AdRoll Retargeting: Increase Sales. Raise Awareness. AdRoll has built a platform to allow ecommerce businesses of all sizes to generate ROI from online display advertising. Thanks to the latest integration with Volusion, your business can now take advantage of this powerful platform that is proven to help drive traffic and boost conversions. On average, 98% of ecommerce shoppers leave without converting. 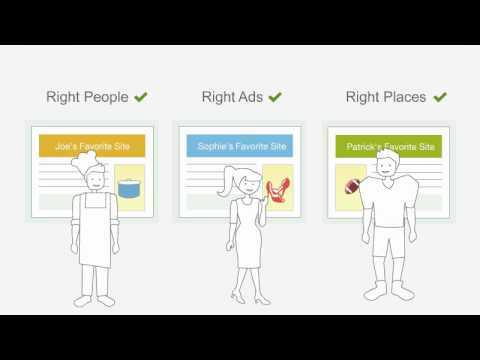 Retargeting finds those lost customers, displays ads for your products on the other sites they visit, and brings them back when they are ready to convert. It's easy to implement, and has an immediate impact on your bottom line. Retargeting Gets Results. Our 500k+ clients have seen an average of over 300% improvement in their conversion rate with AdRoll. With up to 400% return on every dollar you invest in AdRoll's retargeting service, it's easy to see why retargeting should be an important part of your online advertising budget. In fact, AdRoll is the retargeting service Shopify itself uses to bring back lost customers. Volusion customers – launch your retargeting campaign today, and enjoy 2 free weeks!